Inside the exhibition "Breathing Colour"
Drawing from years of experience, Hella Jongerius' Breathing Colour exhibition aims to challenge its visitors to look deeper at colour. 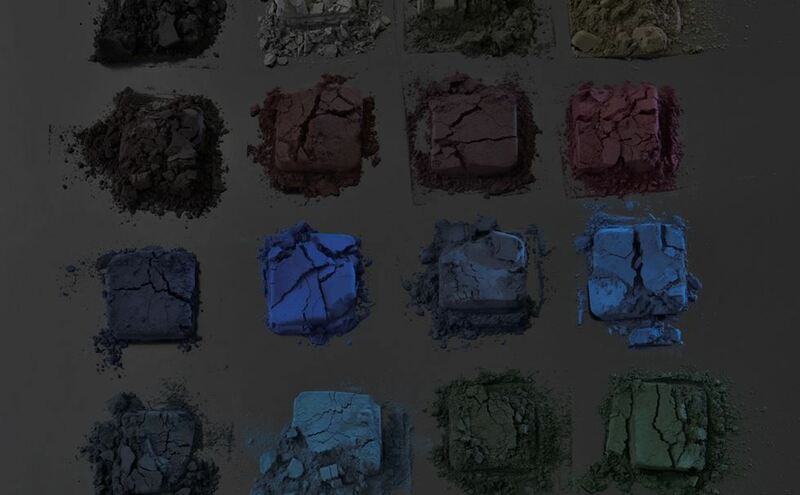 From pigment experimentation to the exploration of relationships between colour and light at different times of day, this exhibition will have you rethinking your favourite colour. In fact, that favourite colour isn't just one colour, it is many. Flying to London to see this designer's exhibition, whose Berlin studio is only five kilometres away from ours, anticipation was high. Breathing Colour is located in the London Design Museum. 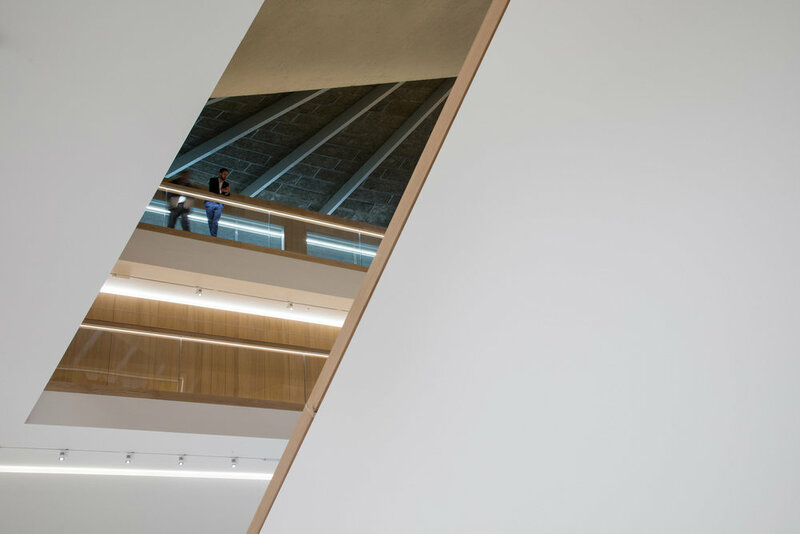 This once vacant 1960's Grade II listed landmark (formerly the Commonwealth Institute building in Holland Park) was re-opened to the public in late 2016. The space is a great architectural backdrop for any exhibit, with a hyperbolic paraboloid roof structure supported on two columns, spanning the open interior. A large central and communal seating area was created for people to convene, socialize, rest and reflect. It is a gathering space in which people have at least one thing in common; a love for 21st Century design. 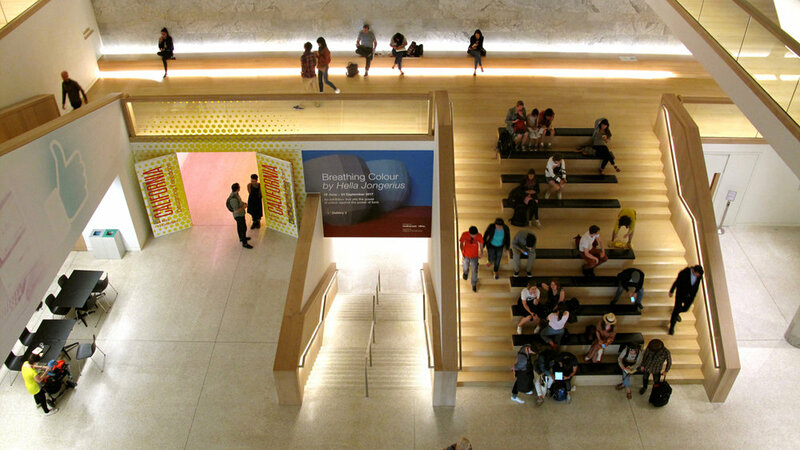 The exhibition was located down a flight of stairs on a separate lower level. 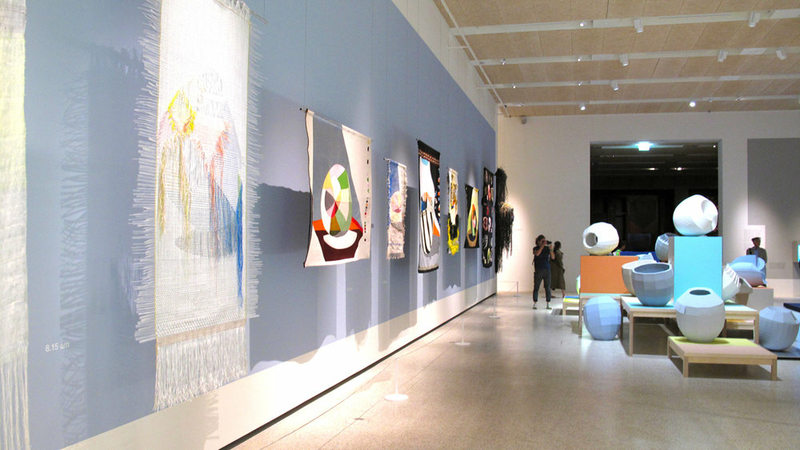 The space was presented in a modern exhibition style, featuring large text on its walls and plenty of room to walk around each item on display. The setup itself won't change the way you experience colour, but each installation presented certainly will. Breathing Colour explores how we can look at colour more intimately. Part of Jongerius' explanation in the exhibition guide book mentions, today because of industrialization we choose colours by names or codes. This is quite effective and efficient for both the user and the manufacturer but with this method, we often see colour as one single shade on a colour chart. Prior to this, we had a more personal tactile connection with colour by mixing and measuring pigments by hand, allowing room for endless possibilities and chances for discovery. The centrally located Colour Catchers, “are the ultimate shape for researching colour’s shadows and reflection”, states Jongerius. These forms demonstrate how a single colour applied on an object, can change hue by the light and shadows created on each fold. The form itself becomes a generator of new shades and tones. Most informatively, Jongerius takes us through the creative process of her work. Here in the painted canvases depicting vases, paint was applied directly on the canvas using combinations of 'old paints' and industrially produced modern colours. Cut-outs were made of each colour, numbered and organized off to the side, essentially creating a unique colour palette. The viewer can see each colour on its own and how it interacts with others. 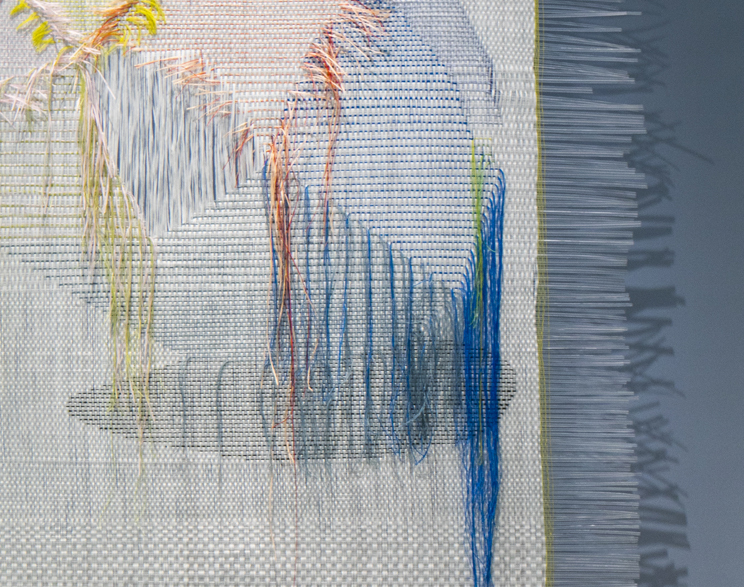 The Woven Movie consists of ten woven textiles depicting Colour Catchers at different times of the day. Some textiles have little colour blocks off to the side and colour threads protruding from the edge. It’s a great example showing how different one colour of thread can look when it is unravelling, woven on its own or into a composition. Jongerius is bold with her selection of textiles for her own furniture designs. She mixes solids with woven fabrics combining various colours as well. Most designers choose to select one colour, two at most, where she successfully applies a minimum of 4 colours as in the design East River Chair for Vitra. This chair, along with others, can be tried-out first hand in the lounge space. Visitors can also watch a video of the designer herself explaining the work. These elements are easy to miss however, as it sits in the corridor by the WC’s. Presenting the video and furniture in context, within the actual exhibit, would have been more effective. Pages from the book "I Don't Have A Favourite Colour"
Through Jongerius' continuous work in this field; a published book ( “I don't have a favourite colour” ) and this exhibition among others - has she put herself on the same level as the famed colour theorists in design history? I would say, yes, she has. She is definitively making her mark in the design industry by continuously experimenting, producing her own creations and partnering up with some of the best brands in the design industry today. See this exhibit, it's worth it. Breathing Colour will have you not just seeing single colours, you'll be drawn into their myriads of shades.